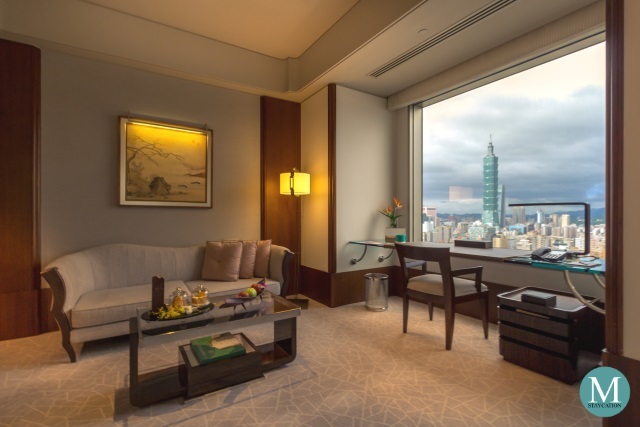 True to the promise of Shangri-La's Horizon Club, the Horizon Club Premier Room of Shangri-La's Far Eastern Plaza Hotel, Taipei is located on highers floors and offers unparalleled views of the city with the iconic Taipei 101 as the centerpiece. 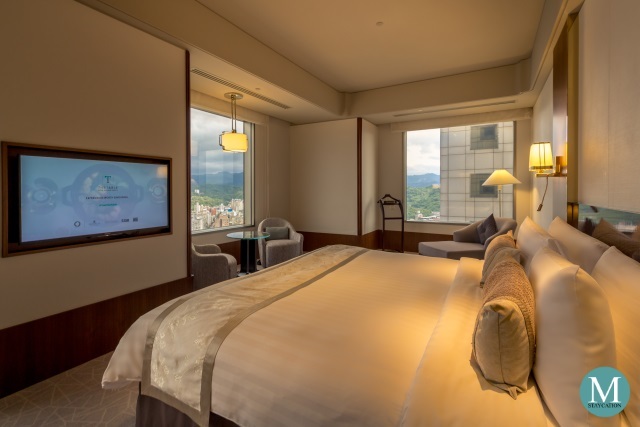 Whether you are travelling to Taipei for business or leisure, or simply enjoying a weekend staycation with the family, this 58-square meters luxury accommodate will ensure that quality time will be spent during your stay. The Horizon Club experience begins with your private and seated check-in at the Horizon Club Lounge where you can enjoy welcome drinks as you wait for your check-in to be processed. 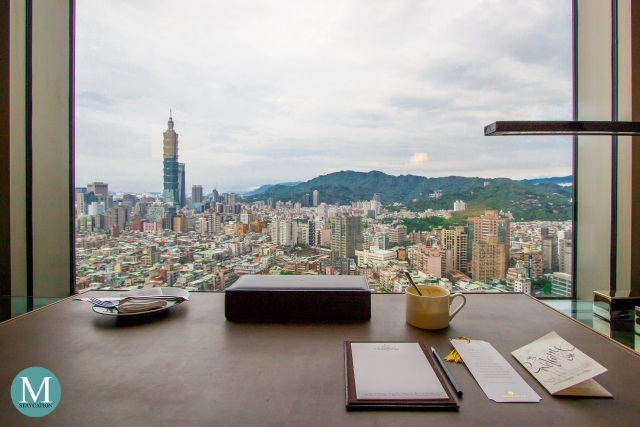 Once in your room, let Shangri-La Taipei impress you with your welcome amenities. 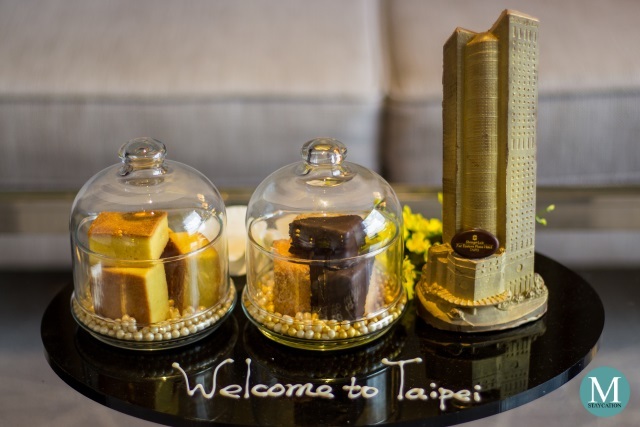 I got pineapple cakes and a chocolate bar molded in the shape of the hotel building! The living area is furnished with a sofa and a center table. Facing the window is an executive writing desk equipped with an International Direct Dial (IDD) phone. Several power outlets with universal sockets are available next to the desk. Complimentary wireless broadband Internet access is available inside the room. No username and password are needed to make signing in to the network hassle-free. This has got to be my favorite spot inside the room. 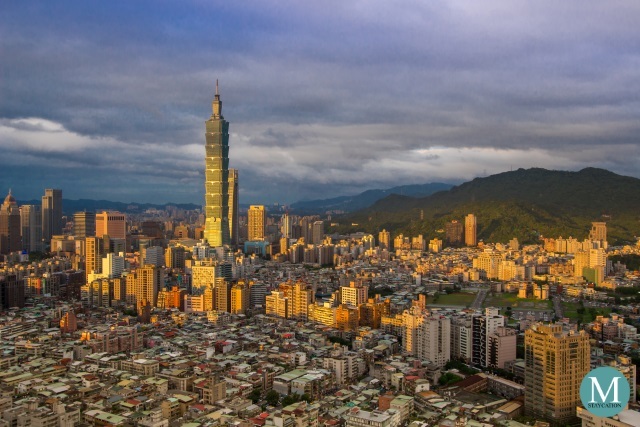 Staring into the city with Taipei 101 on one side and the surrounding mountains on another side brings a feeling of calmness and a heightened sense of creativity. I actually spent the afternoon in my room drafting an article taking inspiration from the view. 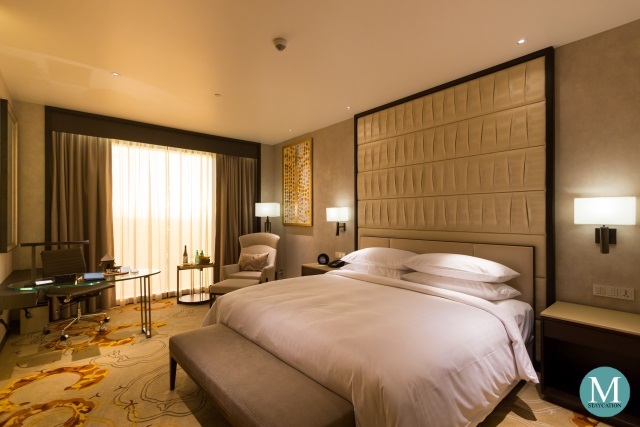 The sleeping area features a king bed with a comfortable mattress coupled with goose down duvet and pillows. 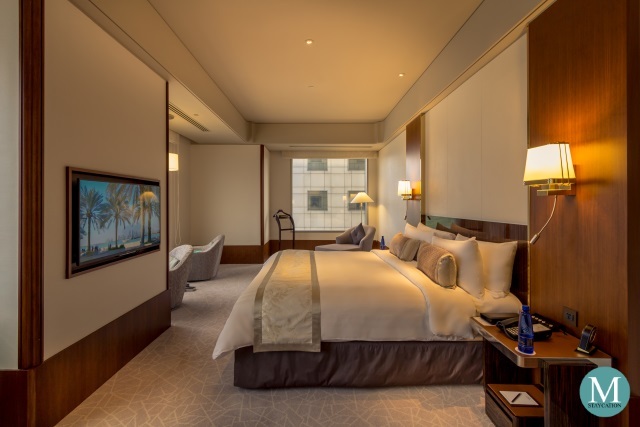 Control panels for the in-room lighting are conveniently located on the bedside tables. An adjustable 40-inch flatscreen television is mounted in front of the bed. Next to the bed is another sitting area with two rotatable chairs and a coffee table. This is the perfect venue for afternoon tea or morning coffee. A single sofa is also placed next to the side window for a more comfortable seating to enjoy the view. The sitting area offers so much space which is perfect for small families. The single sofa can make space for an extra bed or a crib. The shade of the side window can be drawn down for extra privacy. 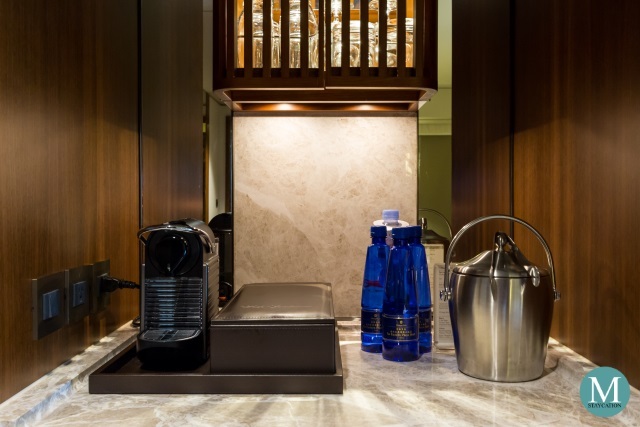 Just like any Horizon Club rooms of Shangri-La, the Horizon Club Premier Room of Shangri-La Taipei is equipped with a Nespresso coffee machine. 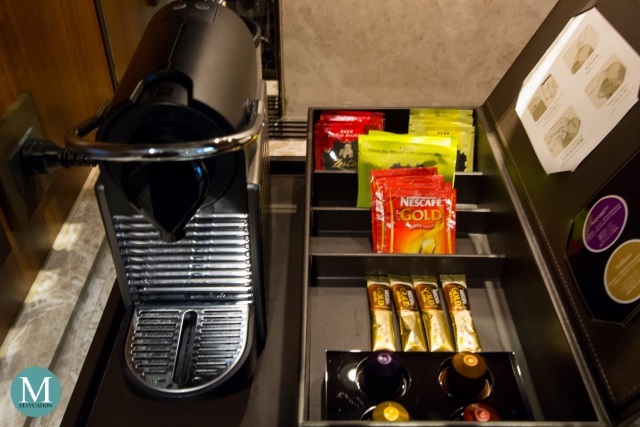 In addition, Nescafe Gold instant coffee and Zesta tea bags are also provided. 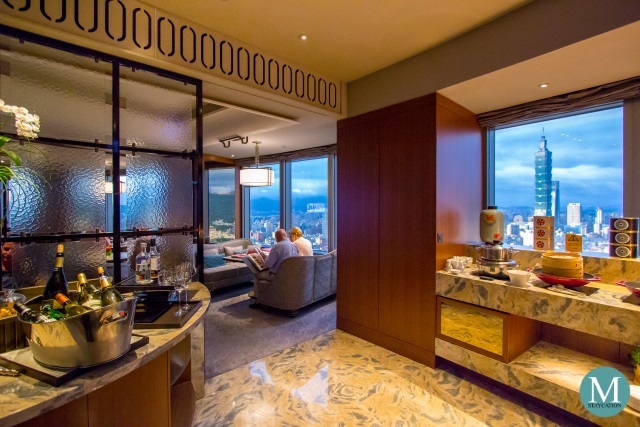 There is also a minibar which I wasn't able to check since I have access to the Horizon Club Lounge. The Horizon Club Premier Room has a spacious walk-in closet that offers plenty of storage space. 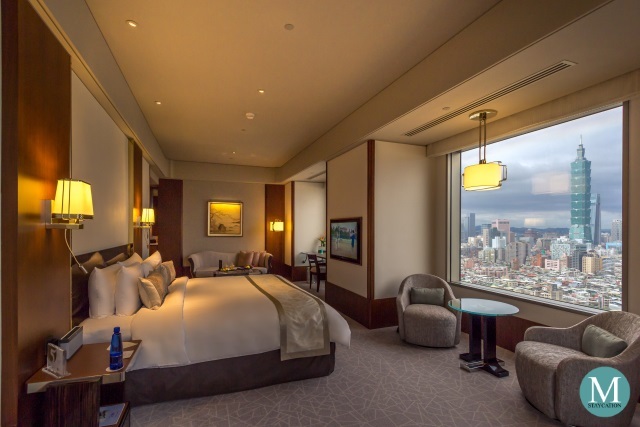 This is perfect for families and business travelers. There's an electronic safe that is big enough to fit a laptop. Iron and ironing board are also available. 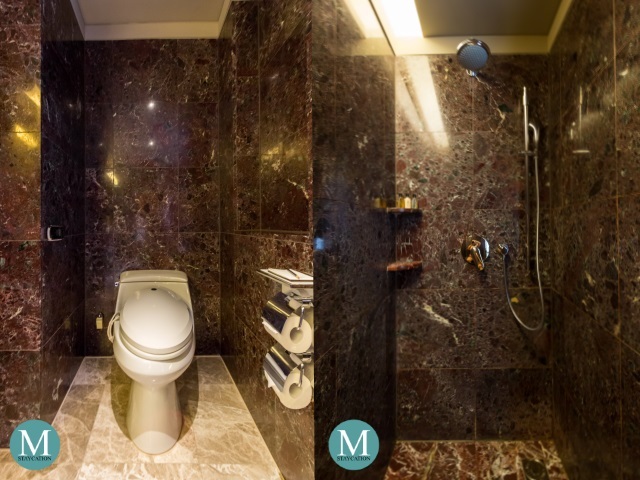 The walk-in closet leads to the private bathroom covered with marbles. It has his and hers sinks, a bathtub, and a walk-in shower cubicle. 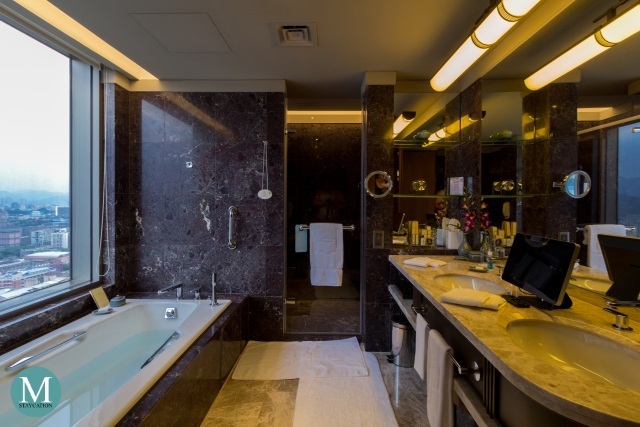 A 12-inch flatscreen television is also installed inside the bathroom. 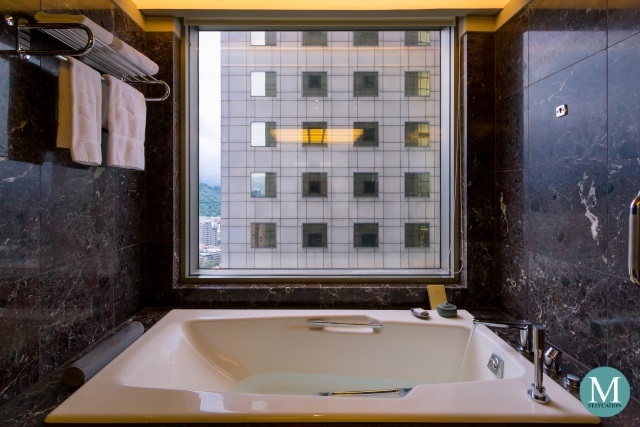 The bathtub is located next to a window with a one way glass. For your personal comfort, you can also draw down the window shades. Bathing soap and bathing salts are also provided. The walk-in shower cubicle is fitted with a rainfall showerhead and a handheld showerhead. There's also a shower seat for an added comfort during shower. 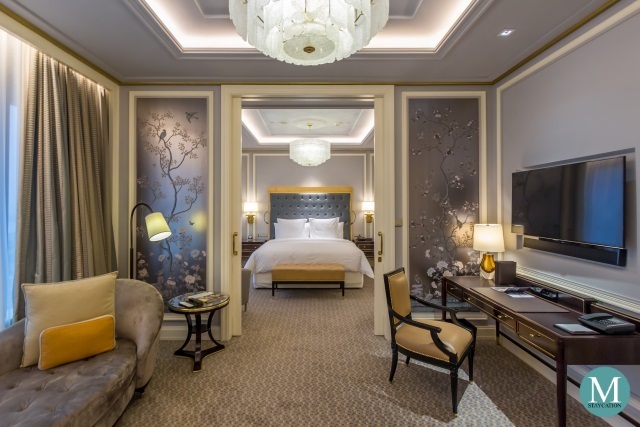 Guests staying in a Horizon Club Premier Room are provided with Jasmine & Bergamot bath amenities from La Collection de Grasse of L'Occitane en Provence. The bathroom is installed with a Japanese toilet with automatic motion-sensor cover and warm-water cleaning toilet seat which is controlled by a wireless toilet control panel. 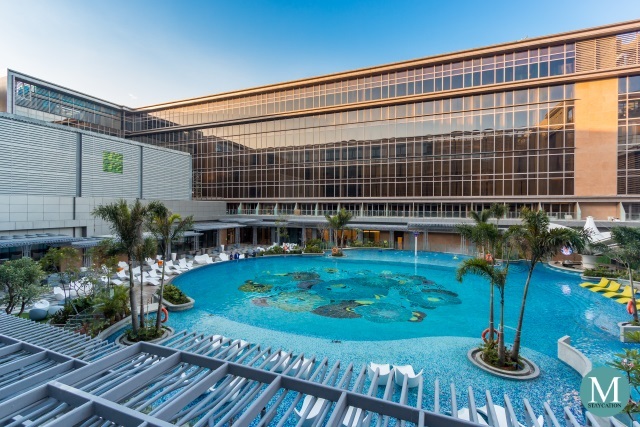 Don't forget to provide your Golden Circle (GC) Membership Number when making your room reservation, upon check-in or upon payment in order to earn GC Award Points. 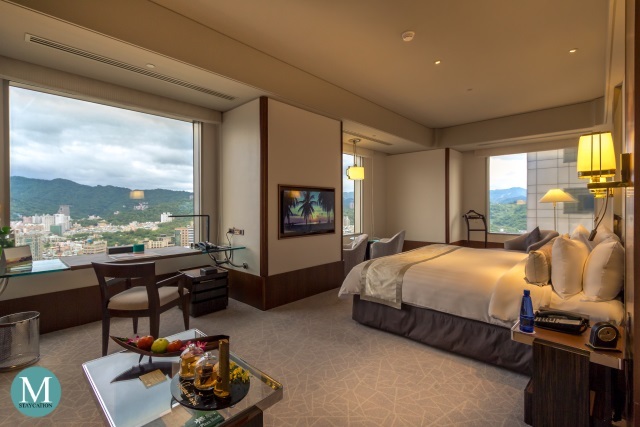 You can then redeem these GC Award Points to pay, in full or in part, your future dining bills at any participating Shangri-La restaurants around the world. 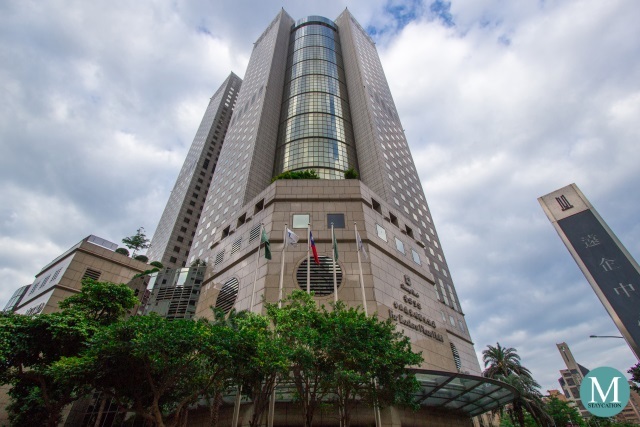 You can also convert your points to overnight stays. If you're not yet a Golden Circle member, you can join here for free.